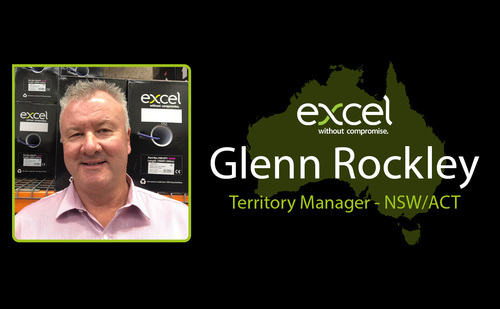 Excel Networking Solutions, the infrastructure provider that offers: Copper and Optical Fiber, Pre-terminated Solutions, Racks, PDUs, Voice and a full range of accessories, is delighted to announce that Glenn Rockley has joined the team in Australia with a specific responsibility for the New South Wales (NSW) and Australian Capital Territory (ACT). Glenn will be working alongside and reporting to John Carrier the Excel Country Manager for Australia and will help build on the success since the brand was launched in Australia earlier in 2018. Excel is distributed through L&H, A Sonepar Company, who have a network of over 150 branches across Australia. Glenn brings with him a wealth of knowledge and experience, built up over a long and extensive career that started off in engineering, progressing into product management and then sales management for several companies, particularly within structured cabling solutions market, working at manufacturers, wholesalers/distributors and contractors.